The secret to our jerky is very lean cuts of beef seasoned to perfection! We cut and hang each piece by hand before sending it into the smoker. The results are a low-fat, mouth-watering treat that has become a favorite for many. 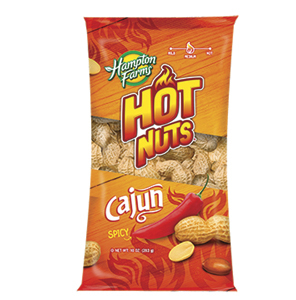 Just as delicious as our original...but a bit hotter! 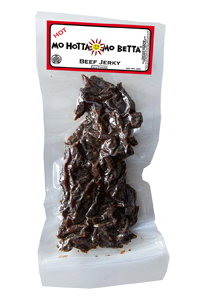 Jalapeno Peppers, Crushed Red Pepper and Cayenne Pepper give this jerky a nice slow burn. Hot Jerky is the best! Perfect combination of heat and flavor! The hot jerky is very tender, not very hot and a tad too salty for my tastes. Some of the best I've had...excellent spice level and tenderness...will buy again!